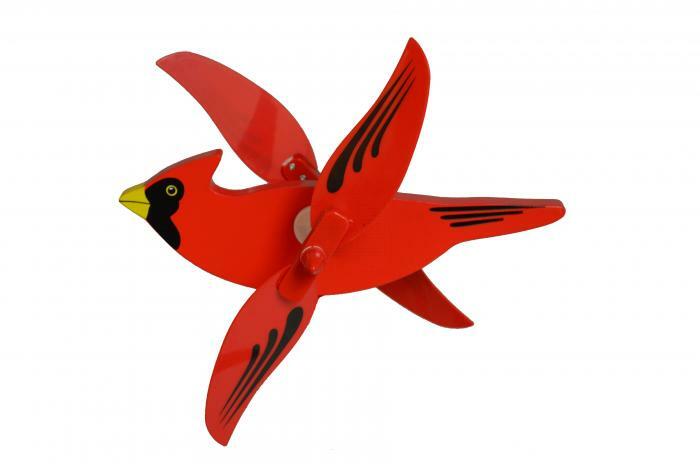 Whirly Gig, easy assembly, outdoor dicor (lawn, garden, fence and deck), garden pole included. Durable and weather resistant. These colorful wind-animated gizmos have been decorating America's gardens for centuries. Flying Colors has updated an American Folk art by taking advantage of today's finest materials while maintaining all of yesterday's charm. Our new assembly system is both easy and durable. The end result is a WhirlyGig with true personality that is sure to bring you hours of enjoyment. Materials: Composite wood bodies, fiber glass wings and auto paint - do not fade or chip.